Mislabeled painkillers "a fatal overdose waiting to happen"
COLUMBUS, Ohio -- Authorities are sounding the alarm about a new and deadly twist in the country's drug-addiction crisis in the form of a potent painkiller disguised as other medications. Tennessee officials say they've seen two dozen cases in recent months of pills marked as the less potent opiates oxycodone or Percocet that turned out to contain fentanyl, a far more powerful drug. One official likened the danger to users playing Russian roulette each time they buy a pill on the street. 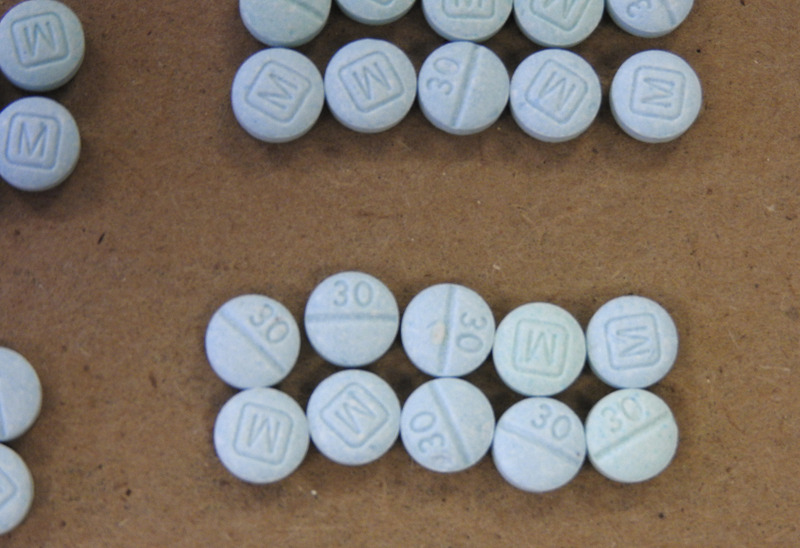 In San Francisco, the health department blamed several overdoses last summer on lookalike Xanax containing fentanyl, while Canada has issued warnings about multiple recent cases of lookalike oxycodone pills containing fentanyl. And in suburban Cleveland, federal agents arrested a man this month after seizing more than 900 fentanyl pills marked like oxycodone tablets. "These pills are truly a fatal overdose waiting to happen," said Carole Rendon, acting U.S. attorney in Cleveland. Because fentanyl is cheap to manufacture illicitly, dealers see a chance to make more money by disguising it as oxycodone, which typically can sell for more, she said. Lookalike pills were likely to blame for some of the county's 19 fentanyl-related overdose deaths in January alone, said Dr. Thomas Gilson, the Cuyahoga County medical examiner. "People might otherwise say, 'I know I can abuse this much of oxycodone,' and they may be in for a really, really bad surprise when they find out that's fentanyl and not oxycodone," Gilson said. The drug, typically used for treatment of chronic pain in end-stage cancer patients, is 25 to 40 times more powerful than heroin. Properly prescribed, it's often applied through a skin patch. Fentanyl produced for the illegal street market comes from Mexico, while chemically similar components have been traced to China, according to the U.S. Drug Enforcement Administration. In a second Ohio indictment, federal authorities have charged a man with obtaining fentanyl from China that killed an addict to whom it was sold in Akron. The DEA says fentanyl-related overdoses killed more than 700 people nationwide between late 2013 and early 2015. Mimicry of other drugs is one way fentanyl is now being illicitly marketed, the agency said. "The fact that fentanyl has been found in this form should hopefully make people nervous that do abuse these types of opiate pills, that they could be getting their hands on something even more lethal," said DEA spokesman Rich Isaacson. China announced in October it would regulate the sale and distribution of 116 chemical compounds used in the production of synthetic drugs, including acetyl-fentanyl. The problem of lookalike fentanyl comes as the country struggles to contain a drug overdose epidemic that began with illegal use of prescription painkillers and developed into a heroin crisis. Ohio experienced 502 fentanyl-related deaths in 2014, up from 84 the year before. In all, 2,482 people in Ohio died from accidental overdoses in 2014, an 18 percent increase over the previous year. Nationally, the Centers for Disease Control and Prevention says drug overdoses rose again in 2014, driven by surges in deaths from heroin and prescription painkillers. Overdose deaths in the U.S. surpassed 47,000 - up 7 percent from the previous year. Heroin deaths also continued to climb, by 28 percent to about 10,500. Despite these statistics and the danger of lookalike pills, addicts aren't always deterred, said Rendon, the acting U.S. attorney. "When there is an overdose death, users do tend to flock to that drug dealer, because they think that he or she must have incredibly potent - either heroin or fentanyl or a combination thereof," she said.